It's good to have friends - especially ones who know just how you like it. Apparently the cat's a pro at giving belly rubs. 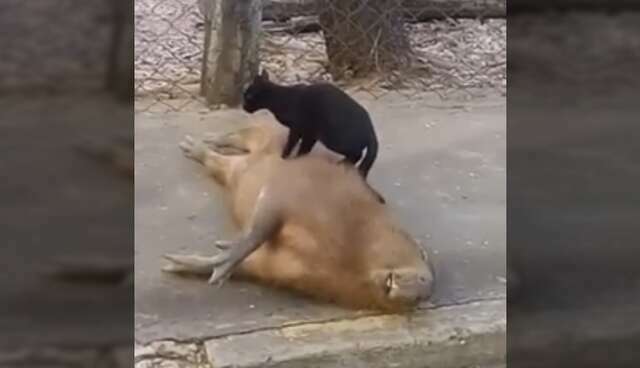 "I had never seen this interaction between cats and capybaras."